SUNNYVALE, Calif. /California Newswire/ — Planese Inc. today released a summary of its latest Consumer Satisfaction Survey, the first for 2014. Local Retailers are the best at meeting the needs of their customers – and grocery stores offer the most predictable consumer experience. The report was compiled from a survey of U.S. homeowners to determine their level of satisfaction with purchases of goods and services in 11 key industries. The survey objective was to benchmark the level of customer and product/service satisfaction in different industries and compare those to the home improvement and remodeling industry. Dan Fritschen, homeowner consumer advocate and founder of www.remodelormove.com summed up the results: "Consumers are winning by getting better service and products as online and local retailers work to gain market share in an ever increasing competitive environment." He added, "Home improvement and home remodeling have fewer consumers reporting that the product and service met their expectations frequently because consumers are inexperienced with buying these goods and services. Therefore, they haven't calibrated their expectations with the realities of the remodeling process and typical results." Customer satisfaction scores with providers ranged from 1 (lowest) to 7 (highest). The aggregate score was based on answers to a variety of consumer experience questions including quality, convenience, stress, ease of researching the purchase, etc. Local retailers scored the highest in overall customer satisfaction. Product/service satisfaction average scores were based on the percentage of respondents who reported that products and services met their expectations – neither exceeded them nor fell short. Retailers had majorities reporting that products and services exceeded expectations. Health care, cell phone, grocery and transportation industries all have 10 percent or less of homeowners who felt their services and products exceeded expectations. Home improvement and remodeling services had the lowest average scores, along with those provided by the government, for "meeting expectations." The survey was conducted online during December 10-15, 2013. Sample data was collected from 1,000 homeowners with a modal age of 35 to 55 years, incomes of $75,000 to $100,000, married and with a Bachelor's degree. 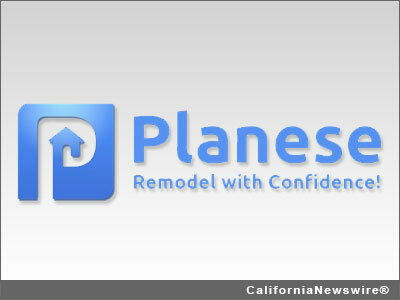 Planese Inc., the pioneer in collaborative home improvement, helps homeowners approach, plan, and carry out their home remodeling projects. Planese empowers consumers with the information they need to make informed decisions and get better results from their remodeling investments. More information is available at http://www.planese.com/ .